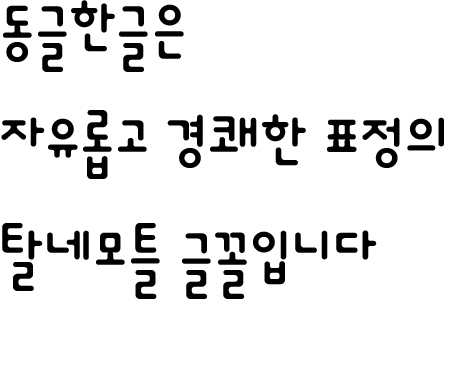 동글한글은 세벌식 조합형 글꼴의 장점을 이용해 만든, 자유롭고 경쾌한 표정의 탈네모틀 글꼴입니다. 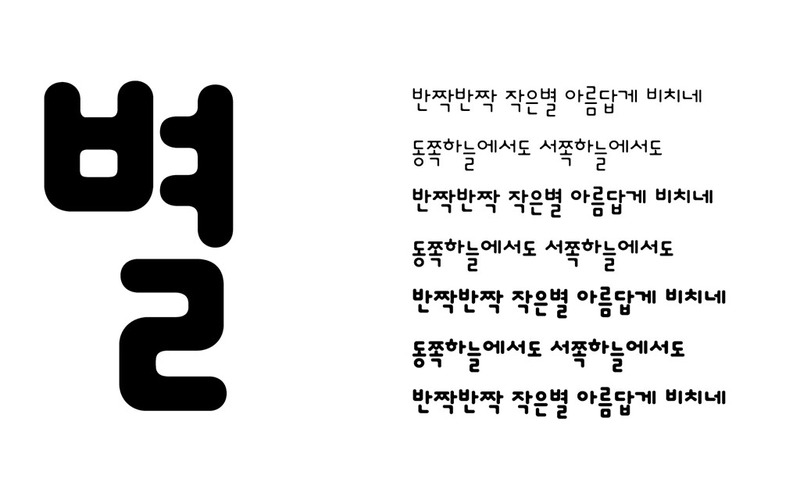 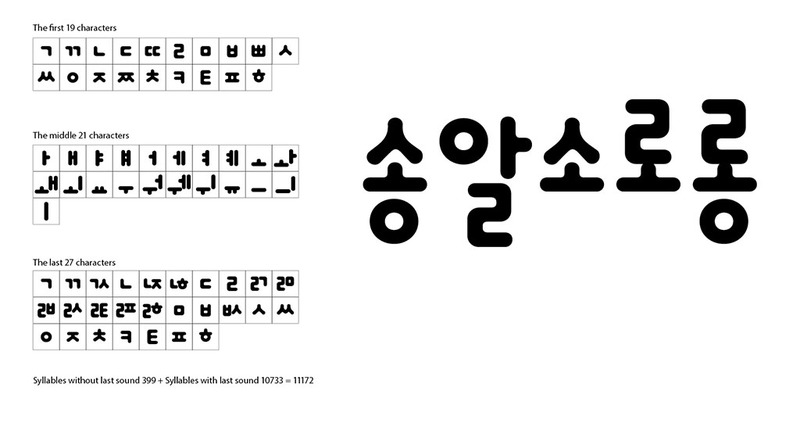 Dongle Hangeul was originally planned as a component combining style, so the consonants and vowels were designed separately. 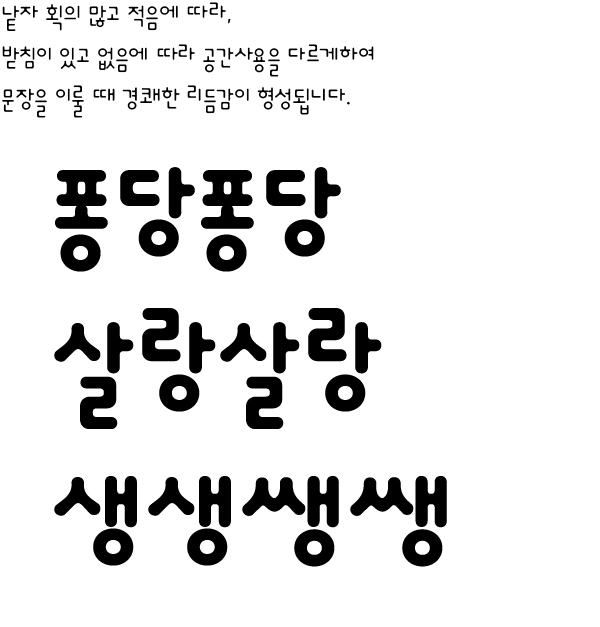 However, other people felt difficulty to use this font because of its typing system. 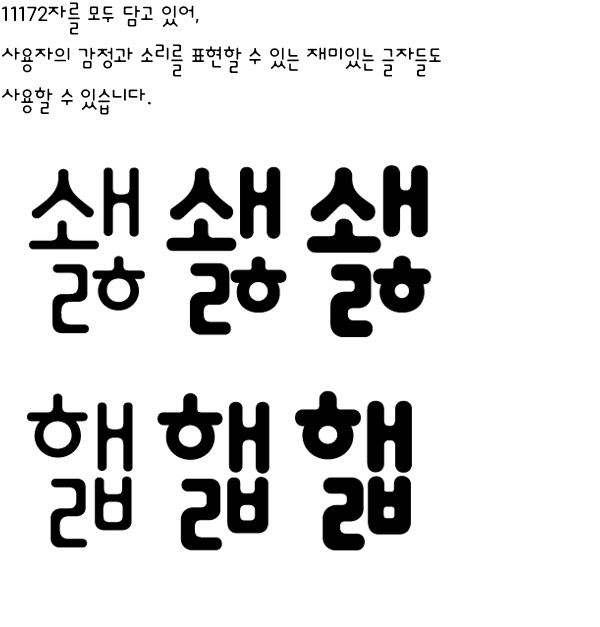 For this reason, the designer revised it into ‘one syllable module’ (typical Hangeul module), and then released it to the public.